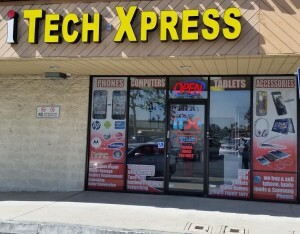 iTech Xpress is a full-service repair shop located in Glendora, California that offers phone, computer, tablet and other electronic services. In addition we are a local distributor to other repair shops. We provide comprehensive parts and repair/diagnostic services to all of Los Angeles County and nearby cities. We are a scalable business that is capable of offering a wide range of comprehensive services to all levels of clients. iTech Xpress offers new and refurbished computers, phones, tablets and much more. We focus on custom computer builds that are designed and assembled to your specifications. We use quality parts, often top-shelf and name brand parts to build computers and fix other repairs of which we are proud. We also provide networking, security, software, and peripheral components such as printers and security devices for sale. We have your complete service needs available. iTech Xpress has a complete and well-stocked parts department. We sell parts and tools for the DIY computer repair tech. We also keep parts in stock because it speeds up the process of our computer repair services. Unless we have to order a part for your computer you can have your equipment back faster and in full repair. We are a complete mobile phone repair facility. We repair and replace LCD screens. We replace buttons and accessories too. If you have a mobile phone problem, bring it into us and let us evaluate the problem and give you an estimate on repairs. We offer same day service for many repairs. Computer accessories such as printers, monitors, and scanners. We also offer full virus removal for all devices and computers. We offer full security system installation and networking services.